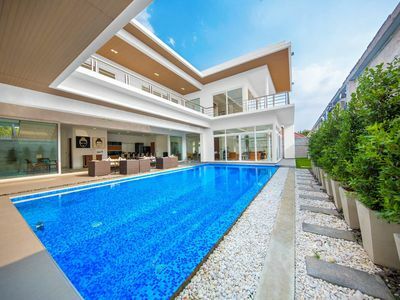 Located 10 meters from Bangsaray Beach, this modern chic 2-bedroom villa enjoys expansive sea-views and a convenient holiday location. 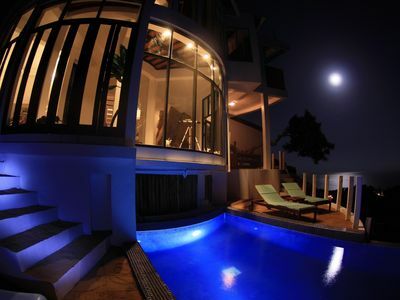 Sleeping 4 people, the villa is perfect for couples, singles or small families who want to be close to not only the beach, but also restaurants and bars, while keeping away from the more hectic destinations in Pattaya City. 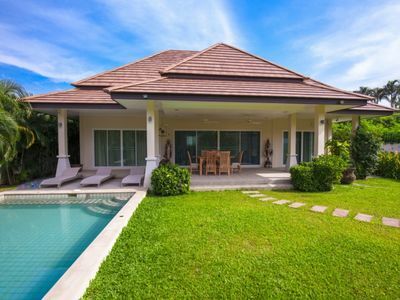 The villa is set over 2-floors, and once inside the tall gates, you will find a private plunge pool with a cozy terrace that leads directly into a downstairs bedroom. 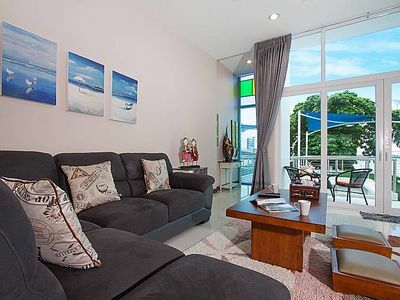 There is an open plan living space located on a raised level on the upper floor, coming with comfortable features and a flat-screen TV with international channels. 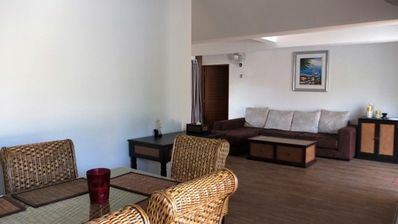 Here you will also find a cozy kitchen with lots of appliances. 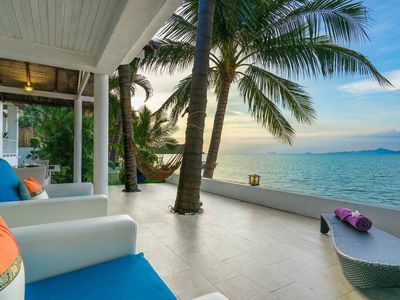 The lounge leads directly onto a unique terrace with astro-turf floors and a Thai sala with stunning raised views of the ocean and Bangsaray Beach just meters away. This is also a great place to enjoy a spot of lunch. 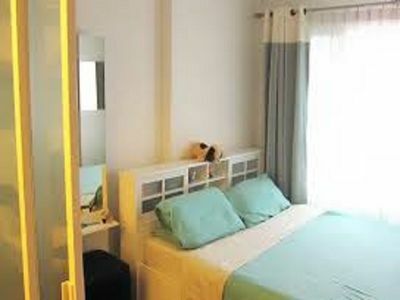 The 2 bedrooms sleep 4 people and have double beds, wardrobes and access to bathrooms. The beach, bars and restaurants are all a short walk away, so you don’t have to go very far to find something to do.